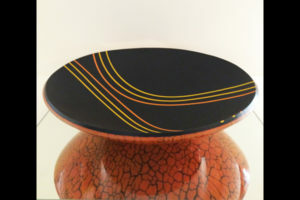 We are pleased to welcome fused glass artist Renee Farr to our Gallery. Renee’s contemporary pieces express her love of color and the beauty of symmetry. Click here to read more about Renee.